On 15 and 16 October 2018 ESO will host a Teacher Training Workshop initiated by Denmark’s Physics and Chemistry Association (Copenhagen/Zealand division). 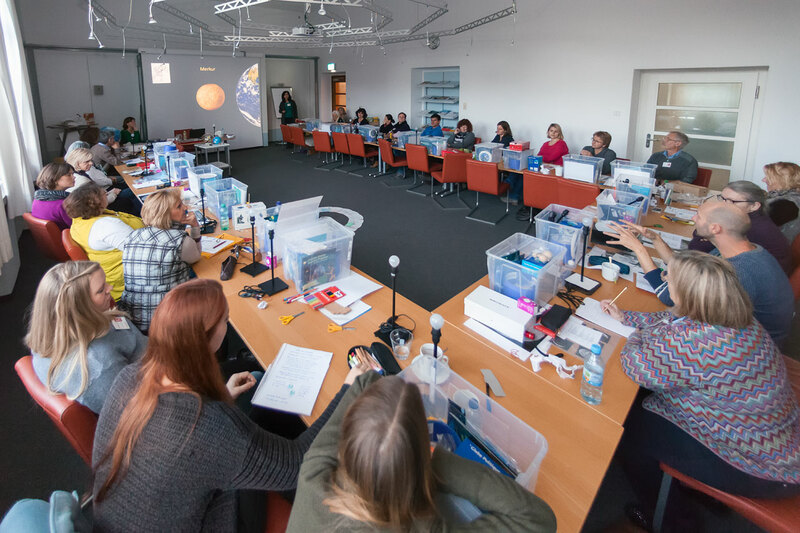 The participants will attend lectures and laboratory visits, engage in hands-on sessions and benefit from the educational programme of the ESO Supernova Planetarium & Visitor Centre. Throughout the workshop, participants will be introduced to cutting-edge astronomy, groundbreaking telescope innovations and advancements in detector technology. They will also experience inquiry-based learning methods designed to engage students and improve their science literacy and problem-solving skills. By learning about astronomy in a direct way, the participants will return to Denmark as ambassadors of astronomy who will educate the next generation of scientists and engineers. This will be the first ESO Teacher Training Workshop organised for Danish educators. The ESO Supernova regularly offers teacher training sessions that not only connect teachers with astronomers and engineers, providing them with an understanding of the inner workings of a professional astronomical observatory, but also give them the skills necessary to teach astronomy using modern student-focused and student-directed strategies. To stay informed about future workshops, sign up to the ESO Educators Newsletter.